Today it snowed in Tokyo. Big, white, fluffy globs of snow. 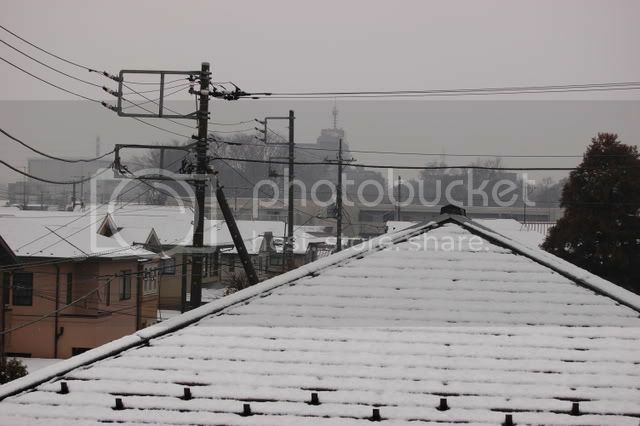 I awoke to about 5 text messages informing me of this, including pictures of snow in Kawagoe, my old place of residence. I figured I'd go make yellow snow or something in the park, but when I walked outside it was just raining. It was cold. So I went back inside and watched Saw 4. If it snows tomorrow I'll go play in it... maybe.